The Dell 3330dn prints up to 40 ppm print speed with a true 1200x1200dpi (max) print resolution. The built-in duplexing and low cost per page--along with the quick start-up speed--make this a “green” printer. Teachers can allow students to only print what is needed for class. The built-in networking also allows for one printer to be shared between many computers or even many rooms. 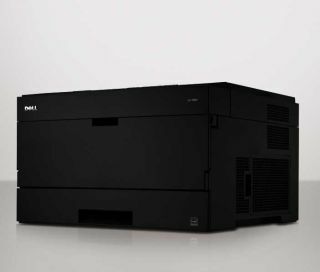 Pros: The Dell 3330dn Laser Printer is network-ready and integrates two-sided printing. It prints at $.0165 per page and starts printing seven seconds after it receives a print command. Cons: The printer is in the upper end of pricing for laser printers in this class. Overall evaluation: Even though this printer may cost a little more than others, all the features make it well worth the few extra dollars. The low cost-per-page, built in duplexing, built-in networking, along with fast start-up make and 40ppm print speed, make this an excellent choice for the price.